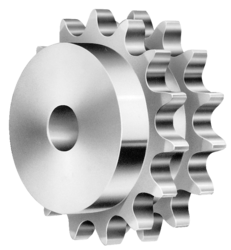 Providing you the best range of simplex single strand sprocket, triplex three strand sprocket, taper lock sprocket, hydraulic hose pipe, conveyor sprocket and duplex strand sprocket with effective & timely delivery. 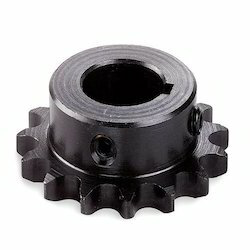 We are reckoned amongst eminent companies for offering a large range of Simplex Single Strand Sprocket. The product of our company is widely known for its excellent quality and long lasting life. Our product is used in various industries and available in accurate dimensions. Furthermore, the product we offer is available in diverse specifications in accordance with the varying needs and demands of the customers. Capacity: 1/4" Pitch to 3" Pitch O.D. 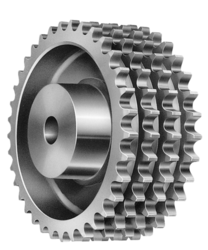 2" to 72"
Owing to our rich expertise in this domain, we are engaged in offering an extensive range of Triplex Three Strand Sprocket. This product is precision designed using latest technology by the experts of our vendors. Our product is widely demanded in the industry due to its durability and optimum finish. Besides these, customers can avail this product from us in numerous specifications and in accurate dimensions. Capacity: 3/8" Pitch to 3" Pitch O.D. 2" to 144 "
Capacity : 3/8" Pitch to 3" Pitch O.D. 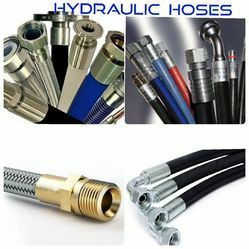 2" to 144"
We are Manufacturer & we are engaged in offering our clients a superior quality range of Hydraulic Hose Pipe. We design the given product following industrial standards by making use of best quality material and modern technology. 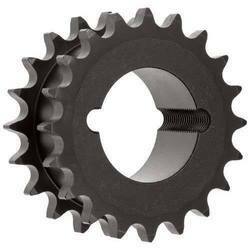 Being known amongst client centric firms, we are engaged in offering an extensive range of Duplex Strand Sprocket. The offered product is manufactured from finest quality raw material and under the guidance of deft experts at our vendor’s end. Our offered product is extremely applauded amongst the customers for its effective usage and high strength. Besides theses, we offer product to the patrons at industry leading prices. Capacity: 5/16" Pitch to 3" Pitch O.D. 2" to 120 "
With the assistance of our adroit experts, we are engrossed in offering an extensive range of Double Strand Sprocket. 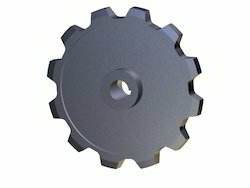 The sprocket we offer is used for transmitting power between the shafts in vehicles, machines, elevators and lifts. 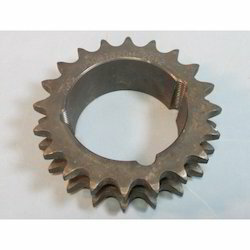 Clients can avail this sprocket from us in various sizes and as per the industry standards. Moreover, we offer product to the patrons after testing it on various parameters to ensure its faultless delivery. Capacity: 5/16" Pitch to 3" Pitch O.D. 2" to 120"